Sums to 10. 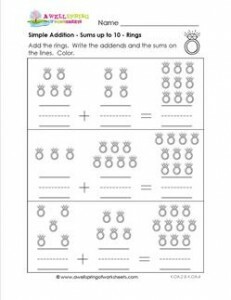 Count and add the rings in our simple addition worksheet. Write the addends and sums on the lines. Are the stones diamonds or rubies?